The leader in Dodge repair and service throughout the Greensboro area is The Autotrends. Thanks to our years of experience and our commitment to customer service, we have built a loyal following of Dodge owners that wouldn’t think of trusting their vehicle to anyone else. 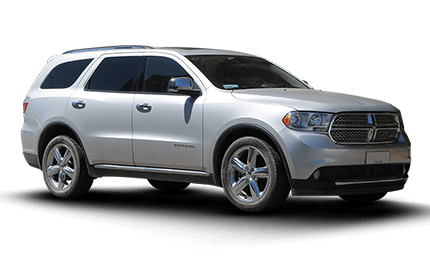 Because of that experience, we are able to work on all different kinds of Dodge vehicles, including the Dart, Avenger, Challenger, Charger, Durango, Journey, Grand Caravan, and more. As a sign of our great customer service approach, you are offered drop off and pickup service for your repair visit, just to make things as easy as possible. Feel free to call ahead and schedule an appointment to bring your Dodge in for repair, or just stop by for a quick service visit. We are always open to speaking with you about your vehicle, and our knowledgeable staff of A.S.E. Certified Technicians bring their tremendous experience to each and every repair. Ask other Dodge owners in your neighborhood and you will learn that many of them already come to The Autotrends to have their maintenance work completed. If they have come to us once they are likely a customer for life, and we would love the opportunity to impress you in the same fashion. Between our unbeatable warranty and talented staff, you can’t go wrong with a Dodge service or repair at The Autotrends in Greensboro.